Four members of the Sudan Call opposition umbrella group travelled on Aug. 7 to Ethiopia’s capital, Addis Ababa, to participate in peace talks with the Sudan government. The peace talks were set up by the African Union and led by chief negotiator Thabo Mbeki. Three rebel groups comprise the Sudan Call delegation: the Sudan People’s Liberation Movement–North (SPLM-N) from the Nuba Mountains and Blue Nile State, the Sudan Liberation Movement–Minni Minawi (SLM-MM) from Darfur, the Justice Equality Movement (JEM) also from Darfur – and the leading political opposition party, the Umma Party. The main Sudan Call representatives included: SPLM-N Secretary-General Yasir Arman, SPLM-N Chairman Malik Agar, SLA-MM Chairman Minni Minawi, JEM Chairman Jibril Ibrahim and Umma Party Leader Sadiq Al Mahdi. Representatives from the main government delegation, the ruling National Congress Party (NCP), included: Presidential Advisor Ibrahim Mahmoud, Sudan Armed Forces (SAF) Chief of Staff General Eimad Adawi, Minister of Youth and Sports Hussein Hamdi and Darfur Chief Negotiator Amin Hassan Omar. On August 8, the main parties of the Sudan Call group signed the AU-brokered roadmap agreement, a procedural document designed to assist the two warring parties in reaching a final peaceful solution. After signing the roadmap document, the SPLM-N and government deliberated a day later over a draft agreement to set up a cessation of hostilities and humanitarian access to the war-affected areas. 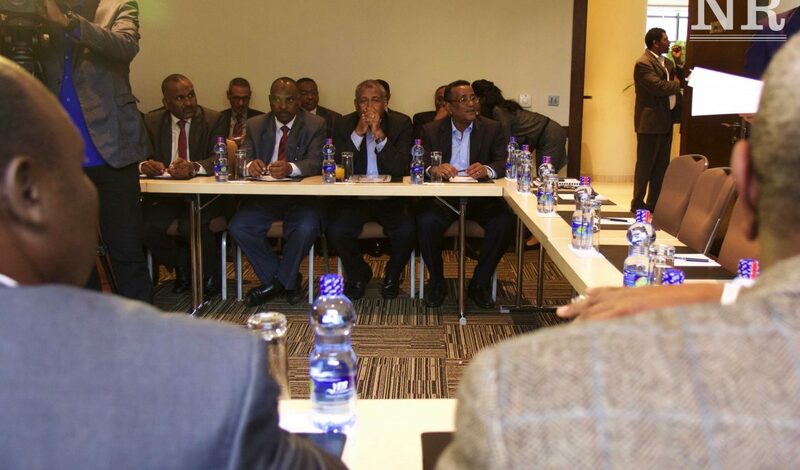 Separate discussions started on August 10 with Darfur rebel groups, SLM-MM and JEM, and the government. By August 14, both negotiations between the Nuba (SPLM-N) and Darfur rebel groups and the government collapsed. 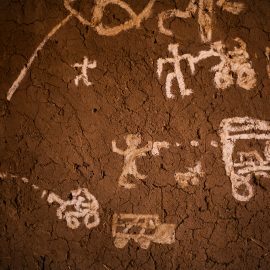 What exactly Is the Roadmap Agreement? The roadmap agreement is a process document designed to pave the way for a comprehensive peaceful settlement between the warring parties but does not constitute a peace agreement in itself. On March 19 during previous AU-brokered peace talks in Addis Ababa, the government and Chief Negotiator Mbeki signed the roadmap peace agreement while the opposition declined. The main parties of the Sudan Call refused to sign the document since the agreement excluded key opposition groups and would operate through an ongoing dialogue process called the “National Dialogue” that they claim is government-controlled. President Omar Bashir launched the National Dialogue in Khartoum in October last year, ostensibly as an attempt to bring together all Sudanese parties and armed groups under one umbrella for discussions. But many opposition forces, including the Sudan Call, rejected the initiative, describing the National Dialogue as non-inclusive. The opposition umbrella eventually decided to sign the document on August 8 after assurances from Mbeki that their grievances would be raised during the negotiations in the roadmap agreement process. During the signing, JEM Chairman Ibrahim read out Sudan Call’s supplementary document raising their additional concerns including the release of political detainees and commencing a new framework for the National Dialogue process. Why did the talks collapse? The peace talks collapsed between the SPLM-N and government on August 14 after the government refused to allow humanitarian access to the war-affected areas in the Nuba Mountains and Blue Nile State. 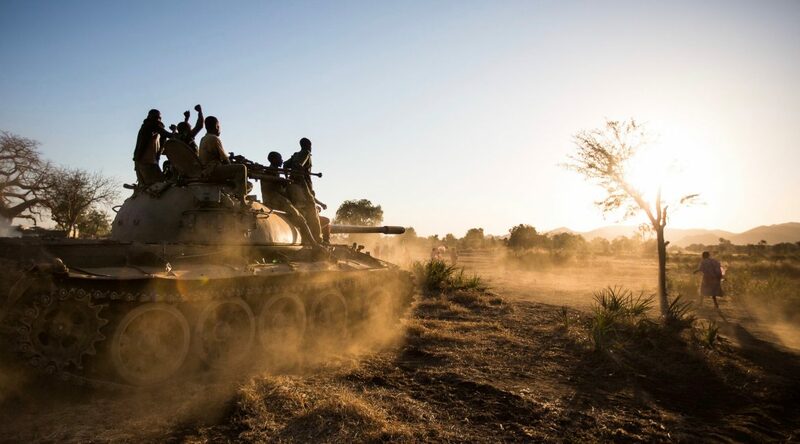 The SPLM-N eventually brought a compromise to the table: 80 percent of aid could come across frontlines within Sudan from government-controlled areas, while 20 percent would come cross border from Asosa, western Ethiopia, with Sudanese government supervision. The government, however, refused to allow aid to come through another country, claiming the aid could be misused to carry weapons for the rebel forces. Conversely, the SPLM-N opposed allowing all of the aid to originate from Sudan, fearing the NCP would block or manipulate aid deliveries as a weapon of war. Establishing humanitarian aid access points has been a thorny issue in previous negotiations, including the November 2015 peace talks. In August 2012, Sudan and South Sudan signed separate memoranda with the African Union, the League of Arab States and the United Nations – known as the tripartite agreement – to allow aid into the Nuba Mountains and Blue Nile State. The agreement established a roadmap for delivering humanitarian aid, but was never implemented. 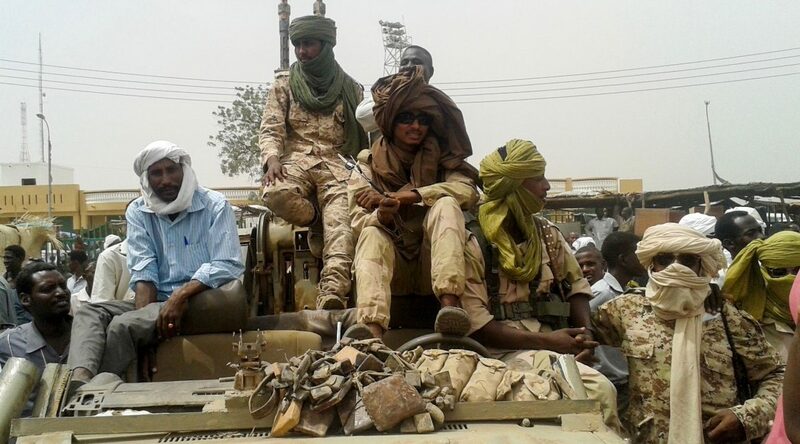 The peace negotiations with the Darfur rebel groups collapsed after the government insisted the rebels provide location details of their forces ahead of signing a cessation of hostilities agreement. Both SLM-MM and JEM refused, claiming they could not reveal their locations while the government continued to bomb them. What are the other areas of contention? Although not addressed during the latest round of peace talks, there are other major areas of contention between Sudan Call and the government. Sudan Call members reject the National Dialogue talks, expected to conclude in October, claiming the talks are manipulated by the ruling NCP and merely a political charade. The SPLM-N and government have also previously disputed the duration of the cessation of hostilities in South Kordofan and Blue Nile states. 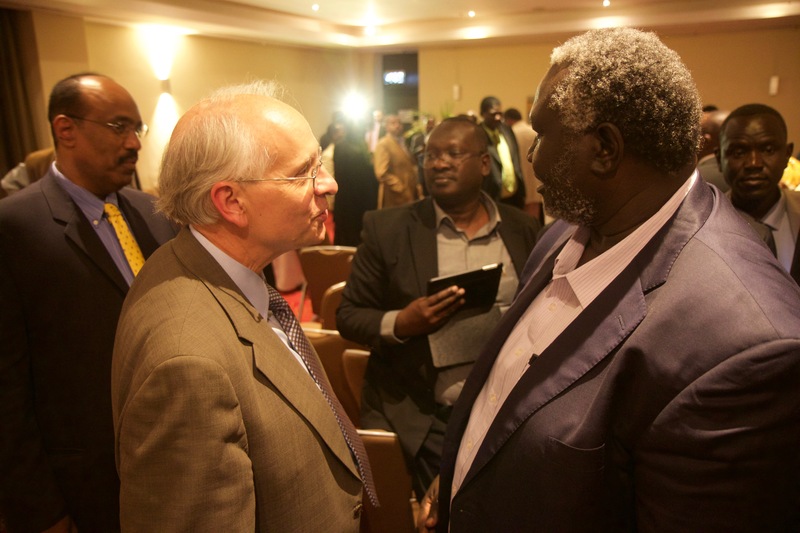 The SPLM-N proposed a yearlong cessation while the government only agreed to a shorter, 1-to-2 month period. Further, the government called on the rebels to disarm at the beginning of the peace process while the SPLM-N would only agree to a more gradual integration process with the Sudanese army. Perhaps the largest area of contention for the opposition and government concerns inclusivity. Sudan Call insists a peaceful solution must be national in nature rather than achieved on a case-by-case basis. Sudan Call has called for a countrywide peace and political reform process involving all opposition forces across the country rather than consecutive deals preferred by the ruling party. The reason, according to Sudan Call statements, is their concern that the government will manipulate the process if resolutions are not national in nature and that agreements will be breached. The government, however, argues the issues of conflict are diverse and cannot be resolved holistically. Why did Sudan Call members not participate in the talks? Other major opposition parties that make up Sudan Call, including the Communist Party and the Sudanese Congress Party, did not attend the peace talks. The Communist Party refused to sign the roadmap agreement claiming it compromised too much with the ruling party. 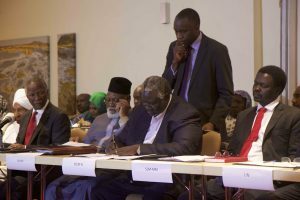 The Sudanese Congress Party declined participation, arguing that the warring parties needed to achieve peace and provide humanitarian access to the war-affected areas as a first step. Opposition parties such as the Sudanese Congress Party would then participate in the second step in the process: attaining political and civil reforms. Without any agreements signed and no date set for renewed talks, the conflicts in Darfur and the Two Areas (South Kordofan and Blue Nile states) are set to continue. 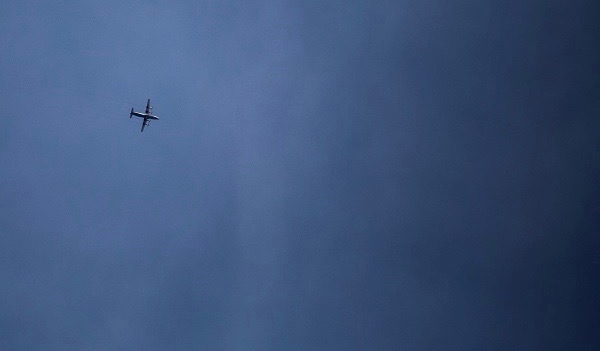 Warplanes have been spotted recently over areas under SPLM-N control, and bombing campaigns continue in Jebel Marra, central Darfur. Following the 12th failed peace talks, the number of people internally displaced from the Two Areas and Darfur will continue to increase. Poor harvests and the ongoing conflict in the Nuba Mountains may lead to severe food shortages this year and potential starvation the next. In Darfur, the U.N. estimates 82,000 people were newly displaced across the region in the first seven months of 2016, largely coming from the Jebel Marra area.